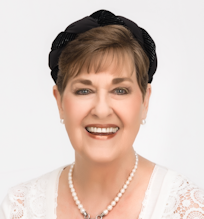 Welcome to the official home of the Grand National Wedding Cake Competition and the Oklahoma State Sugar Art Show hosted by leading authority and influential Queen of Cakes, Kerry Vincent of Tulsa, Oklahoma. IT WAS OUR 25TH SHOW, THE SILVER ANNIVERSARY! September was sugar sweet when visiting the Oklahoma State Sugar Art Show where the Monarchs of Cake staged magical sugar theater. A magnificent display of wedding cakes took pride of place in the creative arts location of the RIVER SPIRIT Building at the TULSA STATE FAIR. For me, this twenty-five year journey has been like my marriage, a true and ongoing commitment that has been enduring since the founding. Watching contestants grow and spread their wings has been rewarding and gives a sense of real accomplishment. Nothing could have been achieved without our sponsors and volunteers and I am grateful. I am deeply indebted to my amazing friends who flock in each year from all states to lend a valuable hand, especially the following principal players: Loydene Barrett, Grady Perryman and his OSU students, Scott and Barbara Ferguson, Leanne Pomellitto, Glenda and Primo Galvez, Laura Galvez Nichols, Carolyn and Rusty Mangold, Edith and Larry Hall, Robin and Roger Van Hoozer, Marrianne Whisenhunt and Janell Deal for their consistent support and dedication to a vehicle that has and will continue to set the standards of world class decoration. 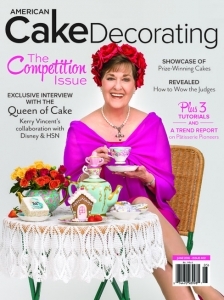 Starting Friday, September 28 at 4:00 p.m., one by one competitors trickled in, registered their entries, and moved their precious cake entries onto the exhibition floor. Once on the floor, these new and unique designs were unpacked for the first time. The showpieces had artwork that may have taken weeks or months of sweat to produce. Tables were draped and primped and the atmosphere bustled with the rustle of fabrics being pinned, last minute touch ups and the agony of repair. Cakes were then revealed in all their glory as tense competitors completed the registration process, all set to enchant the public at 10.00 a.m. on September 29 and 30, 2018. Since the rules were posted online, our 2018 competitors had already lined up to register their preferred themes. They were determined to figure out the formula that would give them the extra edge to aid in designing the winning cake. I know we saw the most stunningly gorgeous cakes ever. 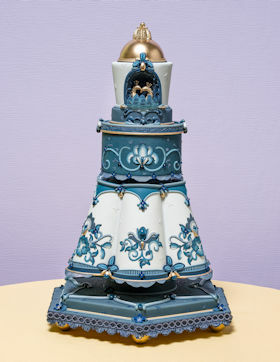 The theme for the wedding cake extravaganza, “I AM A MODERN CLASSIC,” referred to the cake itself. Inspiration was drawn from the classics that have stood the test of time. As examples only, but certainly not limited to the following: Grace Kelly, Audrey Hepburn, Barbara (Babe) Paley or Jacqueline Kennedy, their style choices popular decades ago still dictate standards to this day. Fashion designers such as Balenciaga, Chanel, Worth, Lagerfeld and Hartnell send a timeless message; as do porcelain and china companies and these can include Wedgwood, Royal Doulton or Havilland. Greek key (Meander) and Chinese Famille Rose and Famille Verte designs have been artistically expressed since ancient times (the former) through the Georgian period (the latter) and are still being integrated into modern applications. The inspirations came from any chosen field: literature, art (we still see old masters on modern walls or turned into film) something old is new again but always with a new twist. 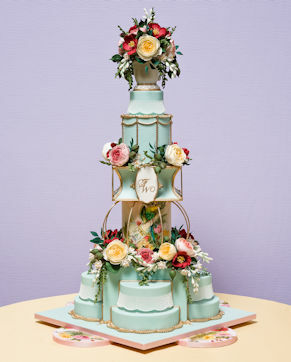 In other words, fabulous, romantic, innovative cakes were created and the best of the best won top honors. Sept. 29 and 30, 2018 – set up Sept. 28. For years, the highlight of the Tulsa State Fair for my wife and myself has been looking at the incredible cake designs. We are very grateful for the efforts of Kerry Vincent to bring world class talent into Tulsa each year. Featuring the most talented and innovative artists in head-to-head competition, the Tulsa State Fair is enthused to provide a venue for thousands of patrons to experience an internationally recognized event. We are fortunate to have the longstanding partnership with such a professional show, and look forward to its continued success. Never in my wildest dreams did I think that could happen to me. It has been a huge boost to my business, and has helped put Oswego, KS on the map. 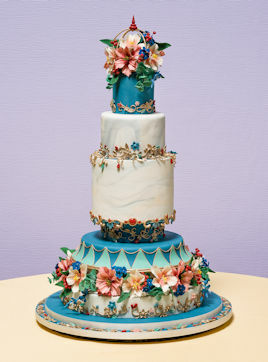 Anyone in the sugar art world knows very well that being at the top of the podium in Tulsa, OK is truly ‘the icing on the cake. 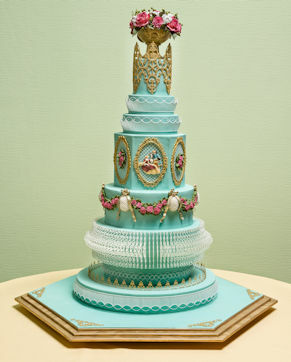 The Grand National Wedding Cake Competition is truly the Super Bowl of cake! Placing well several times and then winning such a prestigious competition has brought many amazing opportunities to my doorstep: Food Network, BRIDES magazine, the TLC Network…. I cannot put into words how grateful I am for Kerry Vincent’s dedication to making the show more spectacular every year. I can’t wait to see the talent you collect at the Oklahoma State Sugar Art Show, a perfect place to begin my search for our next competitors. With stunning table settings and sublime sugar art design, you are assured of a wonderful visual experience that you will remember forever. Perhaps the biggest and most elite cake competition in the country.